This is the remarkable story of Stephen Hawking's struggle to continue his work, notwithstanding the deterioration of his body and his wife Jane's determination to balance his escalating needs and those of their three children. 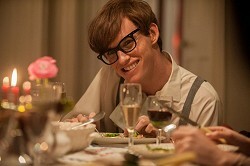 With Oscar and BAFTA awards winning performance by Eddie Redmayne. A true story from Ethiopia where the practice of abduction into marriage is common and one of it's oldest traditions. When the abduction of a 14-year-old goes drastically wrong, an empowered and tenacious young lawyer boldly embarks on a collision course between enforcing civil authority and abiding by customary law. A remarkable film which won the Audience Award at the 2014 Sundance Film festival. In this poignant tale of life, love and the afterlife. 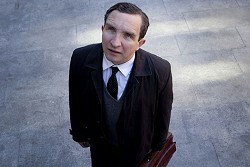 Eddie Marsan plays John, a council worker charged with finding the next of kin of those who have died alone. In his final case in the run-up to his department's closure, John is led on a liberating journey that allows him to start living life at last. A young programmer is selected to participate in a breakthrough experiment by evaluating the human qualities of a breathtaking female with Artificial Intelligence. A clever film exploring the potential impact of A.I. on the human race ... Could it happen? The daily life of a Michelin-starred French restaurant is disrupted when an Indian family, displaced from their homeland, open their own restaurant just 100 feet away. 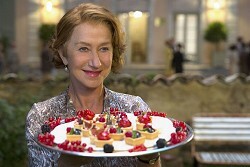 The proprietor, played by Helen Mirren, does all she can to make sure the new restaurant doesn't succeed â€“ but who wins in the end? Occupied France - 1940. Love gradually develops between a young married French woman and the handsome and refined German officer who takes up residence in the home she shares with her controlling mother-in-law. Adapted from the critically acclaimed novel. The true inspirational story of a group of children escaping the civil war in Sudan and eventually being resettled as adults in Kansas City, Missouri. 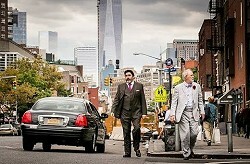 The resulting clash in cultures provides a moving, uplifting and at times funny experience for all involved. When Ben and George finally tie the knot after nearly 40 years together, George loses his job and they are forced to sell their apartment and live apart temporarily until they can afford another home. While struggling with the pain of separation, the tensions of their new living arrangements further challenge them providing a bitter sweet story of true love in older age. A must-see documentary relating what happens when John Maloof buys a box of 100,000 old photographic negatives at an auction and unravels the mystery of the person who took them, earning her a posthumous reputation as one of the most accomplished street photographers. 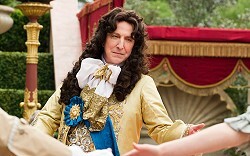 Two landscape architects become romantically entangled while building a garden for King Louis XIV in Versailles.